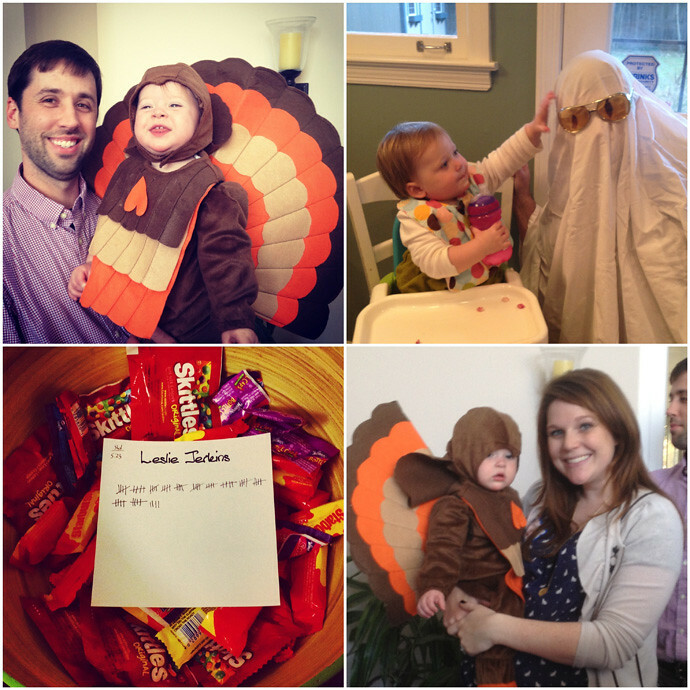 Jonathan puts himself in charge of Baby Halloween Costume Acquisition, and this year hit another grand slam. I think our turkey came out just right. We are both pretty shocked that we have gotten her to wear this costume 3 TIMES now, head piece included, especially since the try-on sessions were not very successful. And before you ask, yes, we will be considering this outfit for Thanksgiving Day. If one thing's for sure, this is somewhat of a WILD turkey! She wants to run everywhere and gather acorns and rocks to eat. In other words, it is tough getting photographs of this turkey. 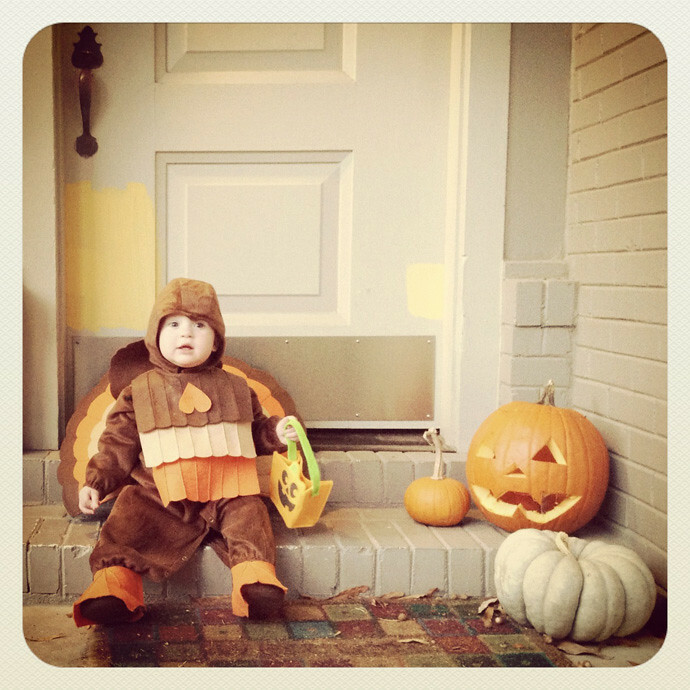 I said this on instagram yesterday, but Halloween may be reason enough to become a parent. 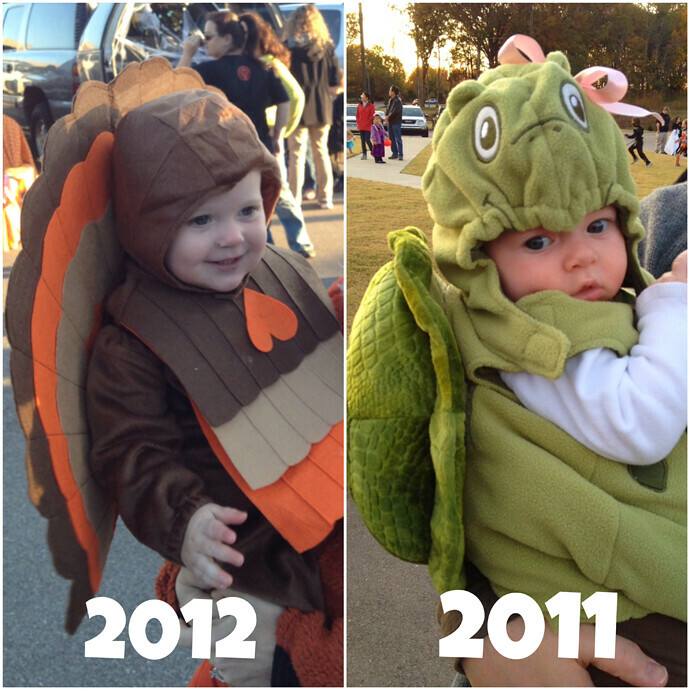 Seeing your little one in costume (along with her friends) is almost too much goodness and hilarity to handle. 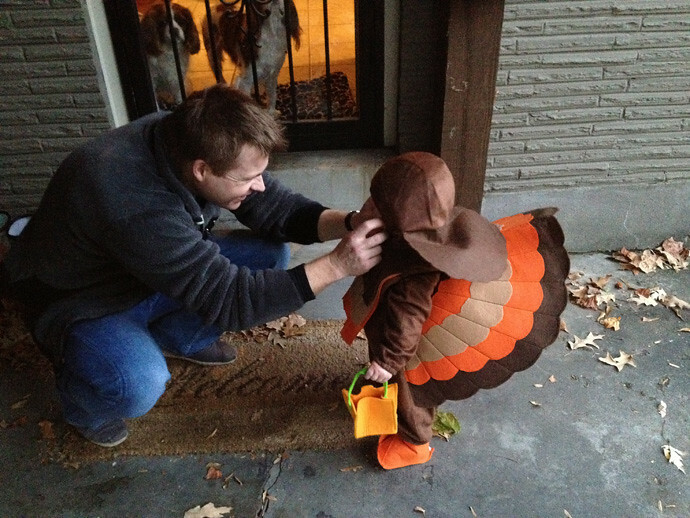 I was thinking the same thing last night about how Halloween is seriously one of the best perks of being a parent...you get to dress up a tiny little human however you choose, laugh at their expense, and then use them as a lure to get lots of candy that you will then eat after they go to bed! Brilliant! 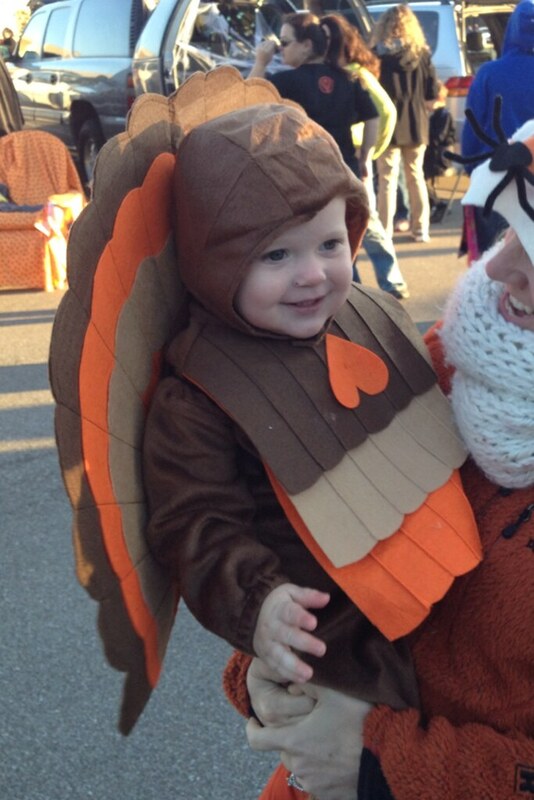 Cutest turkey I've ever seen! Loved watching her run around in that costume. And you're right, she's so fast!